I had a specific idea for this page but it didn’t turned out at all like I expected; it actually turned out better. The page took a turn on its own which made me realize that I must follow my heart and intuition when creating. It really fit the theme of this challenge perfectly as I really felt as if my dreams really know the way and I must follow!! 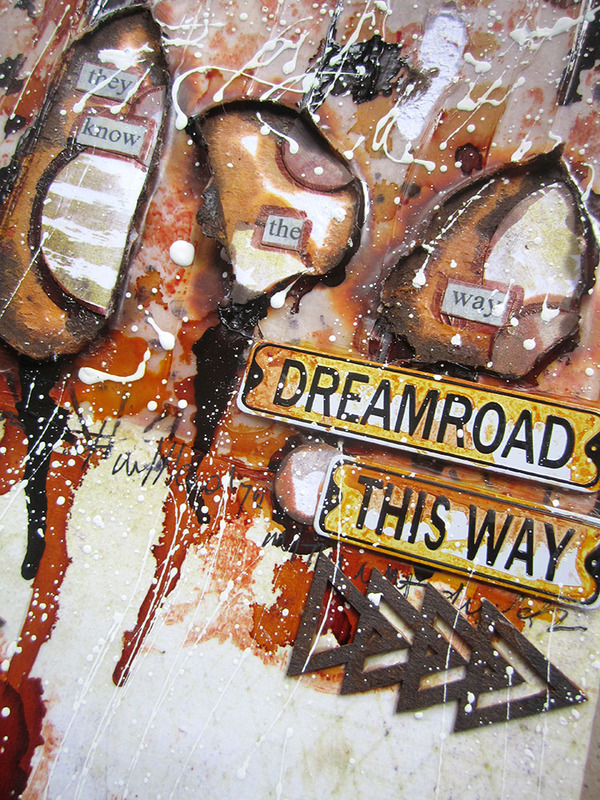 There is a video tutorial above on how I created this art journaling page. I’m showing how I created this page and where the “mistakes happened” that lead me to create it this way. 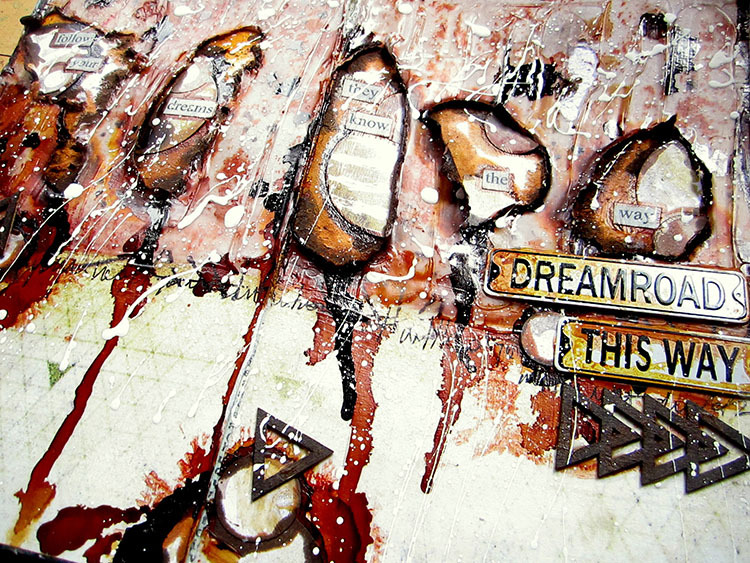 This video really emphasizes one of the most common mistakes people believe about Mixed media. In this case the point about: “Being Afraid of Making Mistakes”. 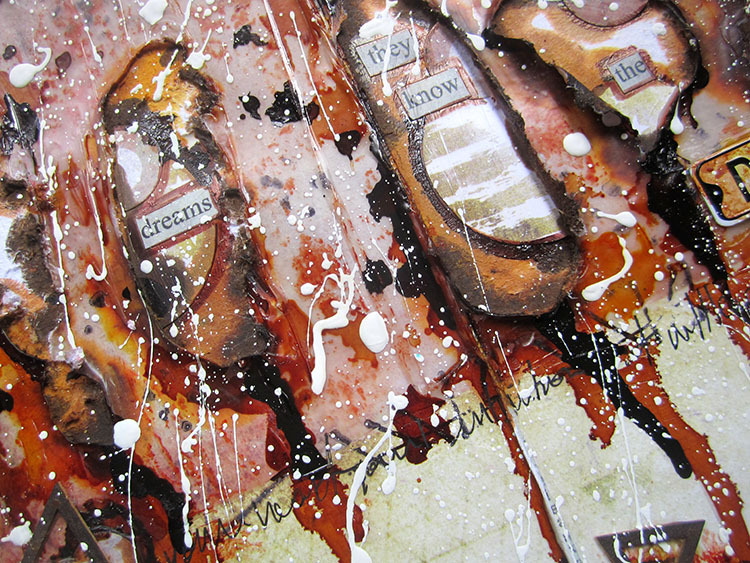 I recently created a video emphasizing the 10 most common misconceptions people believe abut Mixed Media. 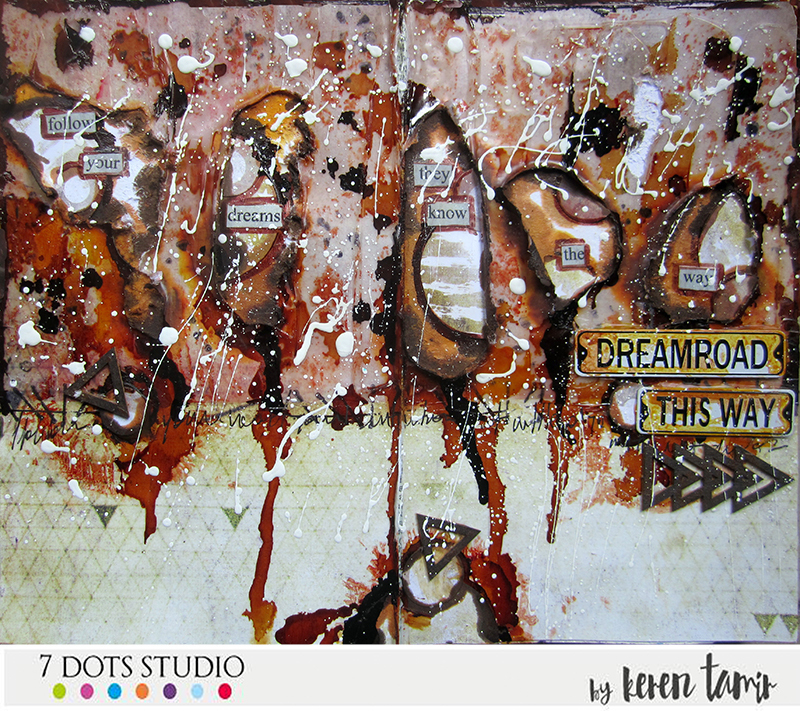 This month the challenge on the 7 Dots Studio blog is about Dreams. May it be dreams, goals, aspirations or actual night dreams we want you to take what lies inside you imagination and channel it into your projects. So what dreams have you been having lately? 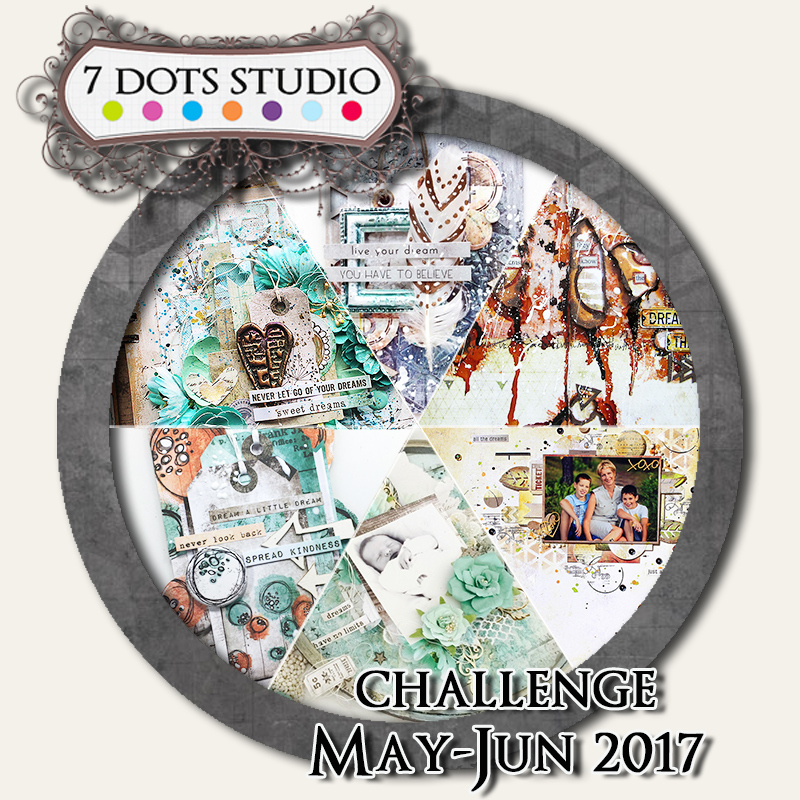 Come and share them with us in this challenge. Here is our inspirational circle to get your started!! !